You want to buy some new wireless earbuds but you have no idea how they sound. You can’t try them on in the store. I mean, I’m not sticking someone’s dirty, used ear tips in my ear. Right? Well, my friend, I’m here to help. I’ve tested the best wireless earbuds for fit, comfort, sound, and bass response. And a few other important categories. I love the Bose SoundSport Pulse earbuds. They have everything you’re looking for. Nice clean sound with great bass response. Tight fit so they don’t fall out of your ears. Rubberized band for less tangling. Sweat Proof. 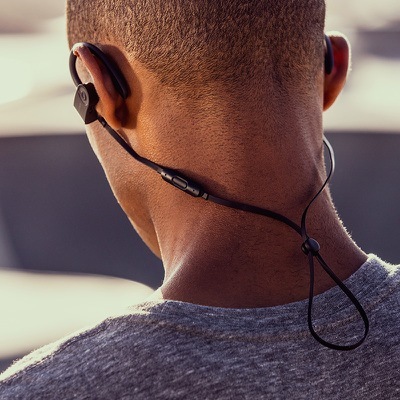 With the patented Bose StayHear Molding, If you're running, working out or just cleaning up around the house, these things aren't going anywhere. 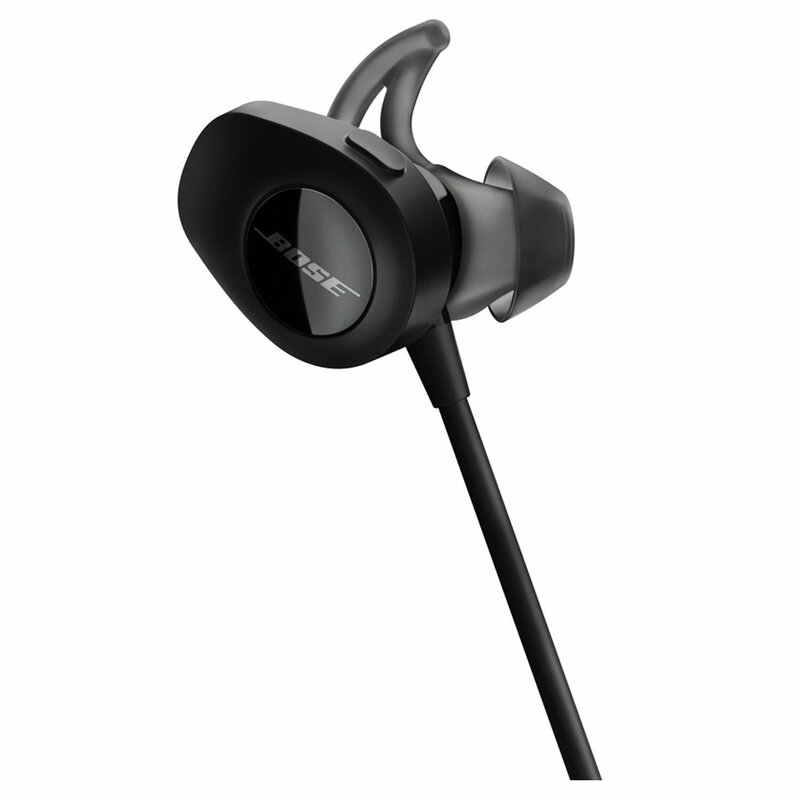 The SoundSport by Bose aren't considered noise canceling earbuds but they do a great job of keeping out the unwanted racket going on around you at the gym or anywhere else. These buds have the signature Bose sound. Clean and crisp with plenty of bass and good mids and highs. The added in-ear heart rate monitor works with popular apps like Runkeeper, MapMyRun, and Apple Healthkit. They have everything you’re looking for in a workout earbud. Nice clean sound with great bass response. Tight fit so they don’t fall out of your ears. 8 hours of battery life. Sweat Proof. They’ve also improved the ear fins this time around. They now come angled so they stay in your ears better. So if you're running, working out or just cleaning up around the house, these things aren't going anywhere. With the comfort comply ear tips, they create a snug seal inside your ear canal which also greatly improves bass performance. All in all the Jaybird F5s are a versatile earbud. They have a rich, warm, punchy sound and that's great for the gym. 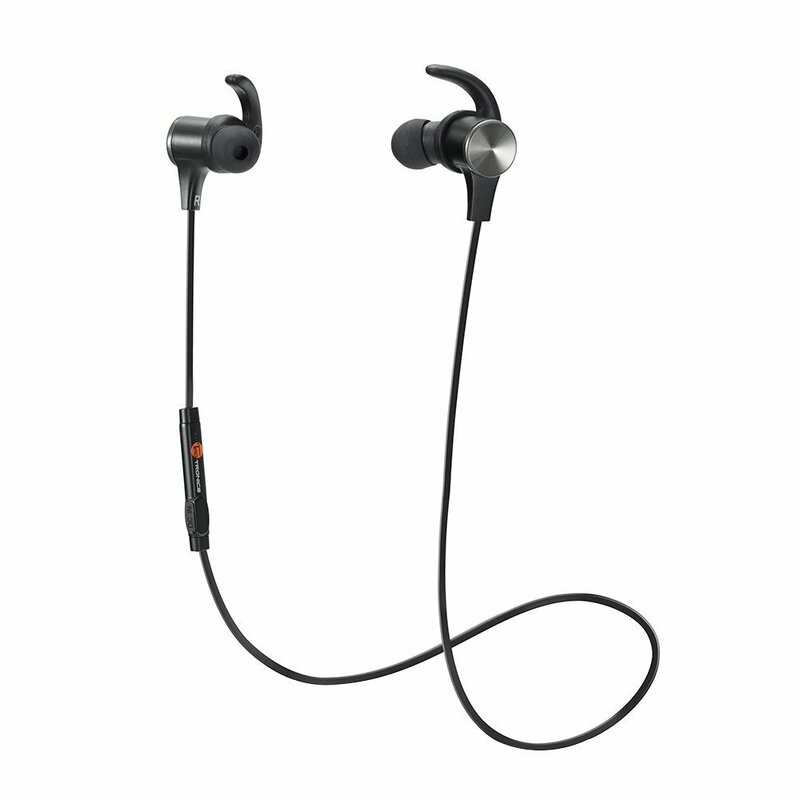 The Backbeats by Plantronics gets our award for the best earbuds for running. They are also the most comfortable in-ear headphones. They don’t create a complete seal with your ear canal so you can hear traffic noise when you’re doing laps out in the urban jungle. This is obviously much safer. The band that goes around the back of your neck also has a reflective material that cars can see at night. The wire is firm and doesn’t bounce around a lot but you might want to get a collar clip to reduce any possible irritation. Even though they don’t offer noise isolation, the sound is quite good and the bass response was better than we expected. It’s also sweat proof and has an 8-hour battery life. If you get the special edition it comes with a car charger and an armband that you can wear while running. The Taotronics wireless Bluetooth headphones get our vote for the best budget Bluetooth earbuds. They rate at about average in all categories but for the price they can’t be beaten. The noise isolation is very good and they fit well, creating a tight seal with your ear. One extra cool feature is the magnetic back that helps them snap together around your neck. That means they won't fall off when not in use. Overall the sound is very good but not great and the bass is pretty average. If you’re looking for a pair of earbuds that you can beat up and knock around without much care then give these a try. If you want a completely wireless earbud, check out the Smartomi Boots cordless headphones. These are kind of neat because you can use just one earbud without the other one hanging around your neck because they aren’t attached to any wires. They’re also IPX7 rated which means that you can swim with them in for up to a half an hour. They come with ear fins and multi-sized ear tips to secure them well inside your ear. The sound quality is average and if you’re looking for deeper bass tones you’re going to have to get one of the semi-wired earphones. Apple and Beats by Dre have really upped their game with the new Powerbeats 3. With the newly released W1 chip, they have increased the battery life to 12 hours and advanced the Bluetooth range to a staggering 98 feet. They’ve also addressed various concerns by improving the quality of the mids and highs. Some people complained of a “muddy” bass sound from previous models. These things will also stay in your ears better than any earbud in existence. With its ear hook design, you could probably jump out of an airplane and they would still be intact when you got to the ground. (Ok probably not but you get my point). ​The SoundSport Pulse earphones from Bose has it all. Great sound, excellent fit, and it even comes with a built-in heart rate monitor! Alright, let’s go over the major points so you can see why I love these headphones so much. While these don’t come with noise canceling technology, the Bose StayHear molding fits snug with your inner ear and blocks out much of the noise around you. The noise isolation is great and the buds will remain securely tucked in your ear. What can I say about the Bose sound that hasn’t already been said? These buds have a nice full, rich sound with just enough bass and a clean, crisp sound profile. You want to get the most out of your earbuds and the Bose SoundSport is a secure, comfortable, loud, bass thumping earphone. Of all the buds we tested, these had the best sound. The Bose Soundsport earbuds aren’t heavy but they are bulky. The buds protrude far outside of your ears and this can look a bit awkward. It doesn’t cause any practical problems, they don’t get in the way when you’re working out but some people have complained about the way they look. They also don’t have the longest battery life. 5 and a half hours. That’s about average for wireless earbuds. The Bose SoundSport Pulse earbuds create a crisp, bass thumping sound that's great. The built-in heart rate monitor also works with popular apps so you can adjust current and future training sessions when you use them to workout. The Jaybird X5 wireless earbuds gets our nod for the best wireless earbuds for working out. Most wireless earbuds come with silicon ear tips which are fine if you happen to be lucky enough to have an ear canal that allows for a tight seal. I personally do not. The comply ear tips are made out of a squishy foam that contracts when you put them in your ear and then expands to create a nice tight seal. A tight seal is important because for one, it keeps the earbuds securely in your ears so they don’t fall out and for two, it creates a better sound. The better the earbuds plug your ear, the more bone conduction can occur and this generates more better bass. For a small little earbud, these things sound fantastic. Jaybird has adjusted the audio of the 6mm driver to deliver a nice full sound with great mids and highs with plenty of bass. The soundstage is also great (where you can hear the instruments and vocals in front, back, left and right giving the illusion of placement). With the optional app, you can manually adjust the EQ settings to customize your listening experience. It also has multiple presets for all types of music if you don’t want to mess with the more complex settings. Other than the comply ear tips, they also come with ear fins to help secure them inside your ear. They are curved so that they fit your ear better than most of the other ear fins available. They also come with a wire management clip so that you can wear them over your ear like the picture below. That’s great if you want to go for a run for an extra secure fit. You’ll get around 8 hours of continuous playback with these earbuds. Well above the 5-hour average you get with other brands. With the redesign of the F5s, the battery is now located along the wire and is attached to the volume controls. In the X2s the battery was located on the earbud itself and this caused them to stick out much further from your ears. The downside is that now you have an extra charger that you have to use to charge the F5s. It’s a proprietary charger and if you lose it you have to buy another one. That’s my one complaint about the Jaybird F5s. I don’t know why they couldn’t just stick with the standard micro USB that you find on just about every other electronic device out there. Other than that I have no other issues. Minus that complaint, these absolutely fantastic ear buds. The Bluebird F5s are the best overall wireless earbuds for working out. They sound great and the fit is absolutely bang on. They have a more than respectable 8 hour battery life and they're versatile with many different wearing options. While the Plantronics Backbeats earbuds might not be our favorite choice for everyday use, they make for an excellent running companion. Let’s take a look and see why we chose them for outdoor use. These are earbuds in the true sense of the word. That means that they sit just outside of your ear canal and don’t create a tight seal. That allows ambient noise (like a car) to enter in which makes them much safer for outdoor running or cycling. They are flexible, comfortable and durable. 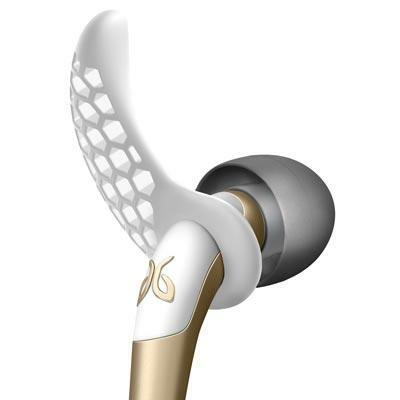 The ear hook design helps them remain securely in your ear while bouncing up and down on a long run. The band also has a reflective material that can be seen at night for extra safety. As a side note, I would recommend getting a collar clip so that the wire doesn’t start to irritate your neck after a while. Although they are not noise canceling, the sound is still quite respectable. The mids and highs are very clear. The bass is pretty good but you can't expect it to give you the oontz that you might get from inner ear canal buds. The battery life is above average at 8 hours. They are easy to charge. Just plug them into a micro USB charger. When you get the special edition, it also comes with a car charger that you can use while on the go. It also has an armband to secure your music player while running, hiking or cycling. With the ability to hear what's going on around you and a reflective headband, the Plantronics Backbeats are our pick for the best running earbuds. These safety features are important and unfortunately overlooked in some of the other earbuds we tested. The Toatronics secure fit magnetic headphones gets our vote for best budget wireless earbuds. There’s nothing revolutionary about the fit of the Taotronics earbuds. They come with a set of small ear tips and a set of large ear tips. A set of small ear fins and a set of large ear fins. It’s made of standard silicon and if you have a problem with the fit you might need to buy extra foam ear tips which are relatively inexpensive. The back of the earbud is magnetized which is pretty cool. When you’re not wearing them, you just snap them together so they don’t fall off. I found this to be useful as I’ve had a problem with my earbuds sliding off my neck at times. The sound is quite good but as you would expect from a budget earbud, not excellent. With the right ear tips, they do create a seal with your inner ear which allows for noise isolation. The bass isn’t overpowering and the highs and mids are respectable. Adjusting the EQ settings of your music player will give you a better sound from the Taotronics earbuds. If you’re into bass, giving it a boost manually will make a difference for you. The battery life is about average at 5 hours. It’s Bluetooth 4.1 compatible so it will give you a decent range (30 ft) and pairing to your device is quick and easy. The Taotronics wireless headphones are our pick for best budget earbuds. The advantage is price. You won't have to worry too much about knocking them around or losing them (which I tend to do :(. The Smartomi Boots are completely cordless earbuds. No chords. None! There are a handful of cordless earphones out there like the Bragi Dash but the boots get our vote for one very interesting reason. The fit is going to be more important for the Smartomi Boots than every other headphone on this list. That’s because, without a cord, if they fall out you could lose them. The package comes with ear fins to help secure them in your ear and I recommend attaching them right from the start. They make a tight fit for good noise isolation and you have the ability to wear just one without the other one hanging around your neck like their semi-wireless cousins. Sound is somewhere between good and great. These earbuds are IPX7 rated. That means that you can swim or take a shower with them on which is awesome. Unfortunately, the extra casing required for the waterproof feature dampens (pun intended) the sound down a bit. Mids and highs are average and the bass is a little lacking. They sync well and you shouldn’t have any problems listening to left and right at the same time. I didn’t notice any distortion between the two earbuds. Battery runs for 5 hours. The Smartomi Boots comes with a charging cradle that you place the earbuds in for charging. They have different colored ear tips that help you distinguish between left and right. It also lets you know which one is the master. Unfortunately, they can be hard to see so you might want to mark them with a felt tip pen or something. The Smartomi Boots is a completely wireless, cordless earbud. 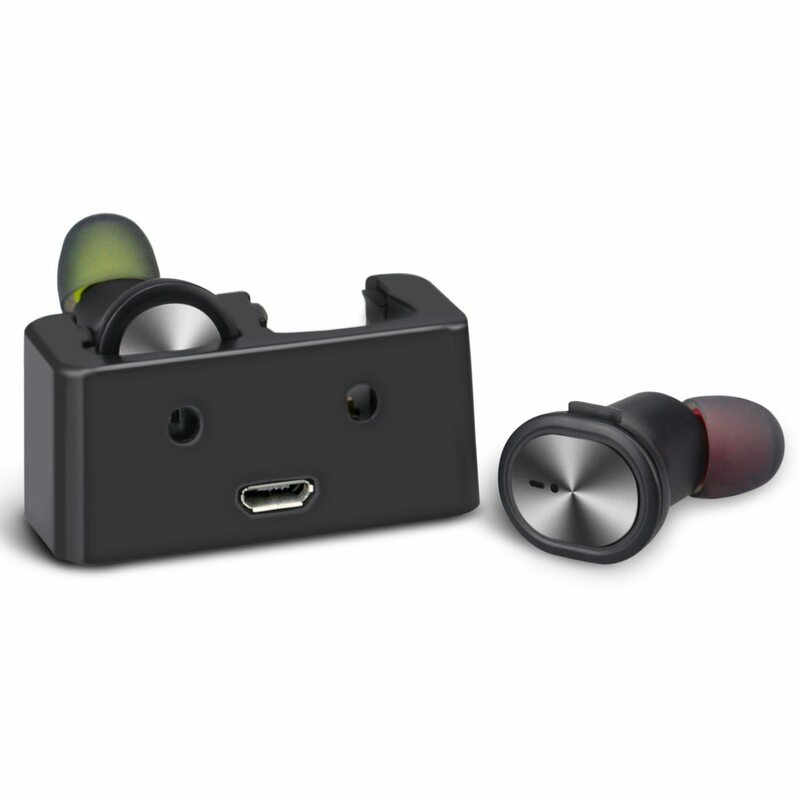 With the ability to use only one earbud and the built-in mic, you can use them for business or leisure. They are IPX7 so you could also swim or shower with them in. There’s no getting around it. The Powerbeats 3 are an expensive wireless earbud. Are they worth the price? Well let’s see what we get for our money. With its over-ear hook design, the ability of the Powerbeats 3 to stay on your head, in any condition is the best in the business. You could go to a heavy metal concert (not sure why you’re wearing headphones at a rock concert) and then bang your head for several hours (don’t hurt yourself). These things aren’t coming off. Technically speaking the Powerbeats 3s are earbuds and not earphones. That means that they don’t insert into your ear canal, they sit just outside your inner ear. You will hear more ambient noise around you. If you’re a runner you will be able to hear passing busses and cars. But, if you’re looking for noise isolation, there are better options on this list. 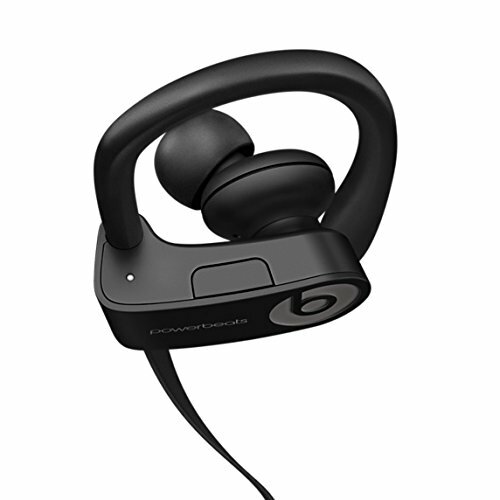 Many in the past have complained about what they called a heavy bass or “muddy” sound from the older Powerbeats 1 & 2s. This time around they have cleaned up the mids and highs for a more accurate, clear sound that still packs plenty of bass. If you still prefer the heavy bass of older models you can always go into your EQ settings and turn on the bass booster. You want to know what you’re getting for your money? The W1 chip and a class 1 Bluetooth radio is what you’re getting for your money. The W1 chip allows for a 12-hour fast charge battery. Not only is that ridiculously long but with a 5-minute charge, you also get an extra hour of listening time. The Bluetooth class 1 radio boosts the range from 30 feet of other models to an impressive 98 feet. That means that you can go from one part of the house to another without any disruption to your music. The PowerBeats 3 are our choice for best battery and Bluetooth range. The over-ear hook design secures them to your head better than any other wireless earbud on this list. There are many things to consider when choosing a great pair of wireless earbuds. I’ve listed the most important factors below in the order of importance. There are two things to consider when it comes to the fit of a wireless earbud. Wireless earbuds either go all the way into your ear canal creating a tight seal or they sit just outside the opening of your inner ear creating a loose fit. The advantage of inner canal earbuds is that with the tight seal you will hear (a lot) less noise around you. So if you’re in the gym and want to drown out that crappy song playing on the overhead radio, these are the earbuds you want to get. A tighter seal also creates more bass. It doesn’t allow the low frequencies to escape as easily and it creates bone conduction to for a better, more full sound. The downside is that some people find them to be irritating and uncomfortable. With continued use, however, ninety-nine percent of all people will adjust and feel more comfort as time goes on. The other disadvantage to inner ear canal earbuds is that if you are running or biking outside, you won’t be able to hear any noise around you and that could be dangerous. The fit is so good on some of these earphones, that you might not even hear a honking horn. That’s the best reason to buy looser fitting earbuds. If you don’t need to use them outside or in an environment where you need to hear some of what’s going on around you, stick with the inner ear canal variety. You’ll get better bass and a cleaner sound hands down. Terminology - Technically speaking, earbuds sit outside your ear canal. Earphones go inside your ear canal. Most people don’t know this distinction so I use the term interchangeably. Everyone has a different shaped ear canal which makes it impossible for manufacturers to have a one size fits all solution for earbuds. That’s why most of them come with different sized tips. Each of them has a different design to help keep the buds tucked securely in your ear. That helps when you’re engaging in light to heavy activity. Let’s go over the different ways in which they try to do this. Like I said, many manufacturers include different sized tips when you buy the earbuds. Usually, they come boxed with small, medium and large sized ear tips but others will come with either zero or as many as 44 extras. They will usually be made out of silicon for easy cleaning but some, like the Jaybird F5s, come with foam tips. The foam tips are superior for creating a better seal with your ear. They are harder to keep clean, though. You might also need to replace them sooner than their silicon counterparts. Fins - Like tips, fins are usually made of silicon and are used to hold the earbuds inside your ear. They work by creating a seal between the outer part of your inner ear, securing the earbud in place. These work pretty well if you can find one that fits you properly. Over Ear Hooks - Just like the name states, over ear hooks, hook around the outer part of your ear. These are superior to using fins and create a much more secure fit. Some earbuds like the Powerbeats 3 come with ear hooks as part of the design. You can achieve close to the same thing by using the over ear method with the Jaybird F5s. We all love it don’t we. Whether your listening preference is hip hop, EDM or rage metal, good bass makes all the difference in the world. If your headphones don’t have enough bass they will sound “tinny”. That greatly reduces your listening enjoyment. The problem with trying to include satisfactory bass inside tiny little earbuds is that bass typically requires larger speakers. That simply isn’t possible with the 6mm drivers that you usually get with portable earbuds. To compensate for this, headphone manufacturers boost the bass signal to try to imitate the sound that comes out of larger speakers. While this is great, it can also distort the sound. Some earbuds may go overboard with bass and create a listening experience that is described as “muddy”. Also, another great reason to get earbuds that go inside your ear canal is that it will create a better bass sound because of bone conduction. Average battery life for wireless earbuds sits at around 5 hours right now but that number is starting to creep up. The Jaybird F5 has a respectable 8 hours of continuous play and with its new W1 chip, the Powerbeats 3 has an incredible 12 hours of battery life. That’s a couple weeks worth of trips to the gym without having to recharge. Power Tip - Get a battery bank for long trips so you can charge your earbuds while on the go. The loudness of a speaker is measured in decibels (dB). The higher the number the louder it is. Most earbuds sit in the 63 dB range. If you’re looking for a quality earbud I would suggest getting one around 66 dB as it will be the loudest. Manufacturers don’t make it easy to find the dB of a speaker and calculating it can be quite hard. I have included a chart for a handful of earbuds at the beginning of this guide. Some people will modify their earbuds to increase the loudness. I can totally understand wanting to do this (especially when you’re in the gym, moving heavy things) but I would caution against it. Listening to headphones at 90 dB for a long period of time will cause permanent hearing damage. It’s just not worth it. Bluetooth range sits at around 30 feet right now for most devices. If you need more distance consider picking up a set of earbuds that are equipped with a Bluetooth class 1 radio. Class 1 vs the more common class 2 Bluetooth radios have a range of around 98 feet compared with about 30 feet for class 2. Class 1 radios are more commonly found in industrial devices and are more expensive. That means that for a longer range earbud you are going to have to spend more money. The Powerbeats 3 comes equipped with a class 1 radio. There are some exciting advancements coming up in Bluetooth technology. Soon, they are going to quadruple the Bluetooth range, so look for that in the future. Frequency spectrum will let you know how high the highest highs and how low the lowest lows are for a given speaker. Generally, unless you have really sensitive ears you probably won’t hear anything over 20000 kHz or under 20 Hz. Practically speaking most music will come out of your speakers between 60 Hz and 4 kHz so as long as your earbuds live in this range you’ll be good. You can achieve a custom sound for the genre of music you’re listening to by adjusting the equalizer. 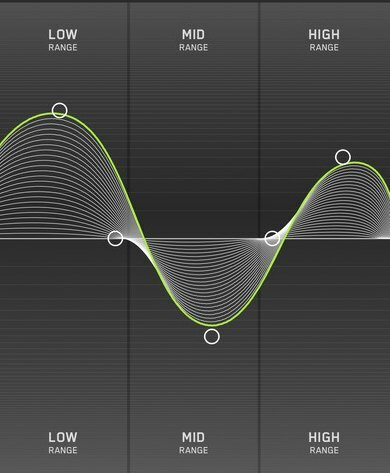 Some apps like the one that comes with the Jaybird F5s allow you to get granular. You can adjust the individual frequencies for your music. That allows you to geek out and get just the right sound. I will say that adjusting the EQ in this way is cumbersome and requires some time and skill to get just right. A much easier way is to just find the type of music you like to listen to and select one of the preset EQ settings. They either come with your app or are located inside the settings of your phone or music player. To get to these settings on iPhone go to “Settings” and then select “Music”. Under the “Playback” section there is an EQ setting. On Android go to “Settings” go to “Sounds and Notification” and select “Audio Effects”. After a few weeks of use your earbuds can get kinda, crusty. If they come with the silicon earpieces they’re pretty easy to clean. Just get a q-tip and some rubbing alcohol and gently remove the um, crust. If you have foam or memory foam ear tips it’s best to soak them in soapy water for about an hour. Then gently clean them with rubbing alcohol and a q-tip. If you own an Amazon Echo Dot, you can pair your wireless earbuds directly with the smart home controller. That means that you can stream Spotify, Amazon Music, Pandora, Tune-in and several other music services. You can now listen to your great sounding earphones and control it all with your voice. Just say “Alexa Play Some Rock Music” and if you don’t like the song that it offers up you can make the echo bend to your will by saying “Alexa Next”. If you’re planning on doing this I would recommend getting the Powerbeats 3 or an earphone with similar Bluetooth range (98 feet). That way you don’t have to be so close (30 feet) to the dot for it to work. All in all, if you’re looking for a versatile everyday wireless earbud, go with the Bose SoundSport. They sound great and fit perfect. If you have specialized needs like running outside or you've gotta have a super secure fit, try one of the other unique earbuds on the list. I hope you have enjoyed this buyer's guide for the best wireless earbuds of 2018! Nice collection. These headphones are really cool. This specific information helps me a lot.